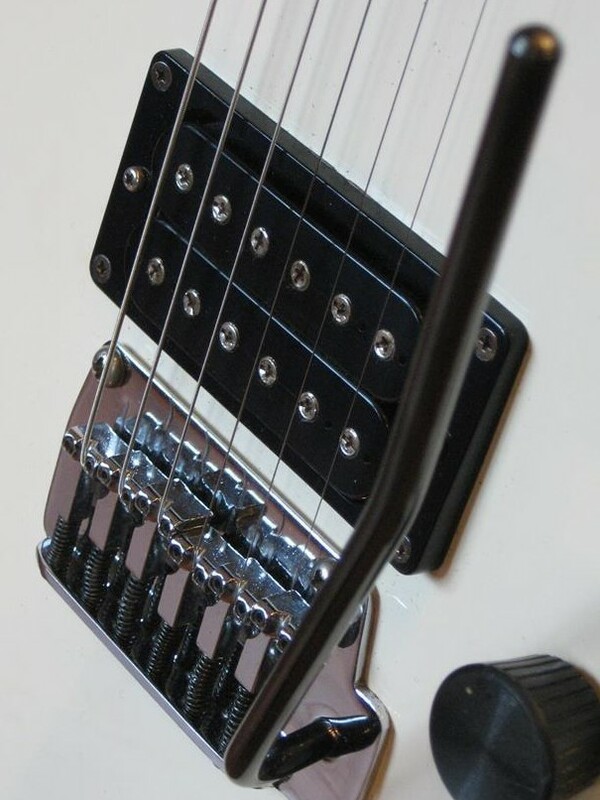 Found this good photo of the other style of pickup used on some models. Has cross head pole pieces with a metal base. They are weak crap pups and not worth a toss. Also were fitted on some late Aria models. It's a shame that Mats went to these miserable pups when they had such a nice lineup of really outstanding designs. The original (real 45's) were outsourced to several Japanese electronic companies, including Keiyo, Gotoh, and Nisshin Onpa. So, I'm left wondering if they eventually brought the construction in-house in order to cut costs in the latter years of operation. What a depressing drop in quality eh? Seems that way, cost cutting measures indeed. Must have seen the writing on the wall in the latter years. Though the instruments themselves are still quality stuff.